Heat oil in a pan. Add jeera to it. When jeera starts spluttering add the chopped onions and fry until they turn translucent. Now add ginger garlic paste stir fry and add red chilli pwdr, dhaniya pwdr and haldi. 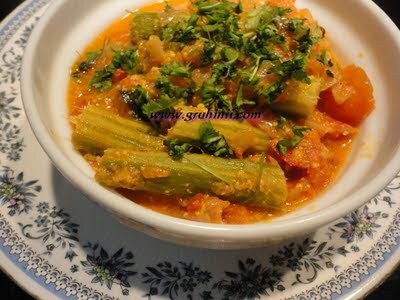 Mix well and add the curry leaves, chopped tomatoes and salt. Cook in a medium flame. 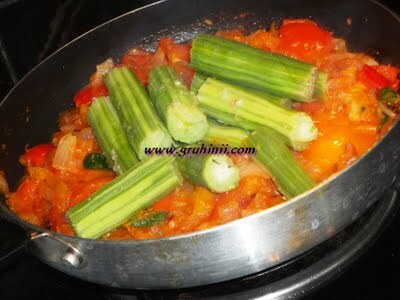 When the tomatoes are cooked add the drumstick pieces and a cup of water. 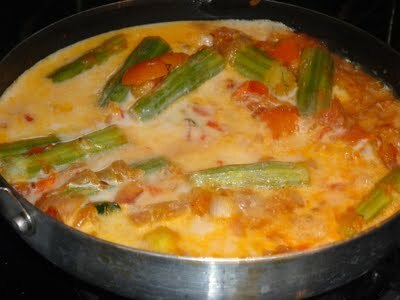 Mix well, close the lid and cook until the drumsticks become tender. Now add a cup of milk and cook for few more mins. until the gravy thickens.